Don’t be fooled: Not all audiobook services are created equal. If you’re paying anywhere between $10 and $60 for a single audiobook, you’re paying too much. If you’re paying $14.95 for a monthly subscription that gives you access to just one audiobook, you’re paying too much. A fact that Playster, a new audiobook service based out of New York City, wants to fix by giving you unlimited access to 100,000+ premium audiobooks for just $14.95 per month. While most popular platforms make you pay for individual titles or get you hooked with a membership that offers you one title per month, then forces you to pay extra for additional audiobooks, Playster is offering a game-changing option: Unlimited audiobooks for the same price you’re already paying to get just one. Playster is offering all new users a free 30-day trial, so we signed up for it (the whole signup process was simple, we simply put in our email address and followed the steps on screen to create an account.) and what we found was pretty impressive. 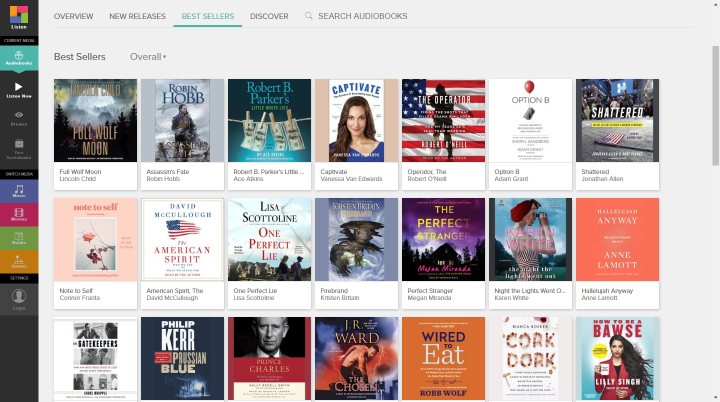 Browsing the library, we immediately discovered audiobooks that grabbed our interest from HarperCollins, Simon & Schuster, Penguin Random House, Macmillan and more. There were over 40 genres to choose from and lots of curated playlists that featured some huge names, like bestselling author Paula Hawkins, King of Horror Stephen King, literary legend Margaret Atwood, actor Bryan Cranston, social media star Tyler Oakley and many, many more. The idea that we could listen to unlimited audiobooks for one flat price seemed too good to be true, but that’s exactly what we were able to do. There was no need to buy credits. No need to pick and choose based on five-minute samples. We were free to listen to our heart’s content and even download all of our favorite titles for offline listening, proving that Playster is the perfect companion for your daily commute, lunch break, run to the grocery store and beyond.